2. )Use together with two wired mircrophones. Use together with two wired mircrophones. Its easy to use, just connecting the plug of microphone to this adapter. 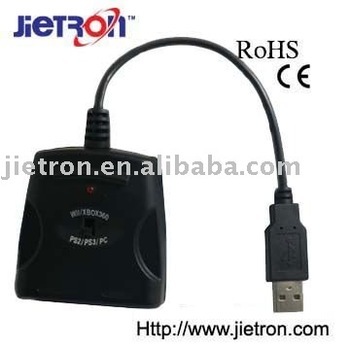 Compatible with PS2, PS3, XBOX 360, WII and PC when connecting with the microphone.